L3 shareholders will receive a fixed exchange ratio of 1.30 shares of Harris common stock for each share of L3 common stock. Upon completion of the merger, Harris shareholders will own approximately 54% and L3 shareholders will own approximately 46% of the combined company on a fully diluted basis. For 2018, the combined company is expected to generate net revenue of approximately US$16bn and earnings before interest and tax (EBIT) of US$2.4bn. For the meteorological sector, Harris produces cutting-edge imager and sounder instrumentation, the likes of which have been used on all National Oceanic and Atmospheric Administration (NOAA) Polar-orbiting Operational Environmental Satellites since 1978 and all of NOAA’s Geostationary Operational Environmental Satellites (GOES) since 1994. As well as weather monitoring hardware, the company also produces the accompanying software to help process and disseminate the weather data. 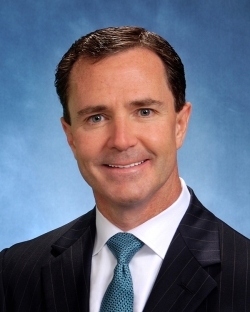 Once merged, L3 Harris Technologies will be headquartered in Melbourne, Florida, and will be led by a combined board of 12 members, with six directors from each company. Brown will serve as chairman and CEO, and Kubasik will serve as vice chairman, president and chief operating officer for the first two years following the transaction. For the third year, Brown will transition to executive chairman and Kubasik to chairman and CEO.